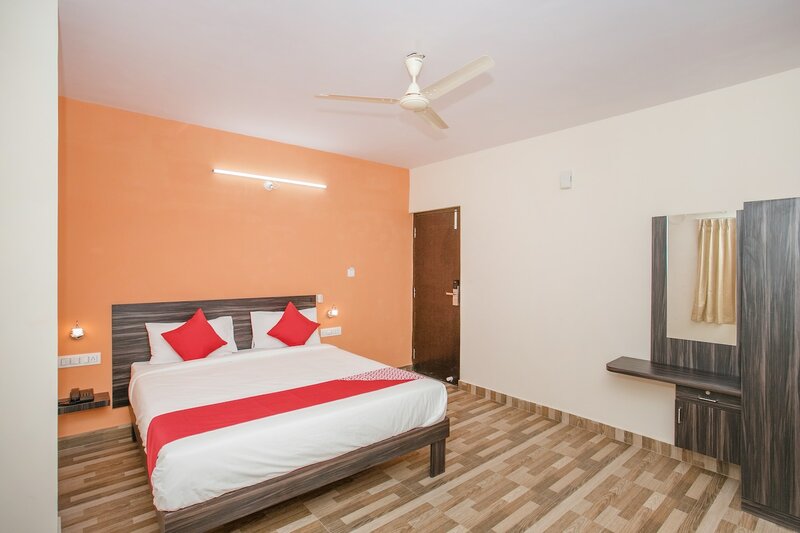 Hotel PMR is a popular choice among travellers looking for a hassle-free stay in the Whitefield area. This hotel is backed up with several amenities to make your stay comfortable. The spacious rooms feature soothing colour tones and wooden cabinets. The glass panels in the corridor give a pleasant view of the surroundings. The property is fitted with security cameras. Facilities such as power backup and card payment add to the convenience of the guests. For those travelling with their vehicles, the property also provides a parking facility. The food joints nearby offer choices from various cuisines and some flavourful local dishes as well.